10015766	 Zebra Z-Supreme 2000T White, 1.5" x 0.25" Z-Supreme 2000T White, High-temp Adhesive, Thermal Transfer, Polyimide, Perforated-Yes, Labels Per Roll-10000, Rolls Per Carton/1. For use with Tabletop/Industrial Printers. 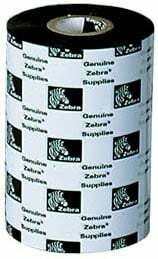 10015765	 Zebra Z-Supreme 2000T White, 1" x 0.25" Z-Supreme 2000T White, High-temp Adhesive, Thermal transfer, Polyimide, Perforated-Yes, labels/roll-10000, rolls/case/1. For use with Tabletop/Industrial Printers. 10011976	 Zebra Z-Ultimate 2000T White, 1" x 0.375" Z-Ultimate 2000T White (3-Across), Permanent Adhesive, Thermal Transfer, Polyester, Perforated-Yes, Labels Per Roll-10002, Rolls Per Carton/4. For use with Tabletop/Industrial Printers. The Zebra 05095BK06030 is also known as ZEB-05095BK06030-C	.